RIPA section 67(8) states - "Except to such extent as the Secretary of State may by order otherwise provide, determinations, awards, orders and other decisions of the Tribunal (including decisions as to whether they have jurisdiction) shall not be subject to appeal or be liable to be questioned in any court." Here is an example of an "ouster clause" aimed at excluding the Tribunal from Judicial Review which is the process by which the High Court can ensure that public bodies make their decisions in a lawful manner. Judicial Review is not really concerned with the conclusions of the decision-making process and whether those were ‘right’, as long as the right procedures have been followed. The court will not substitute what it thinks is the ‘correct’ decision. This may mean that the public body will be able to make the same decision again, so long as it does so in a lawful way. Judicial Review cannot be claimed to be a simple process and it is certainly an expensive avenue. See the very useful Administrative Court Judicial Review Guide published in 2016. The courts adopt a highly restrictive approach to the interpretation of statutory provisions which purport to oust the jurisdiction of the High Court. The classic case is Anisminic Ltd v Foreign Compensation Commission  2 AC 147 but there are many other authorities which illustrate the approach. For a recent discussion in the Supreme Court, see R (Cart) v Upper Tribunal  UKSC 28;  1 AC 663. It is an approach which reflects the fundamental importance of the rule of law in our legal and political system. If an individual cannot get before a court or tribunal to determine a complaint that a public authority has engaged in unlawful conduct, the rule of law will be defeated. The law will not be applied as it should be. Nevertheless, the Court of Appeal (Civil Division) has held that RIPA section 67(8) is effective and excludes determinations, awards, orders and other decisions of the IPT - see R (Privacy International) v Investigatory Powers Tribunal and others  EWCA Civ 1868 - Floyd, Sales and Flaux LJJ. As ever, the judgment needs to be read in full and, in particular, students of Administrative Law will benefit from the succinct summary of cases such as Anisminic and the crucial role that case played in the development of Administrative Law. The Court of Appeal's reasoning is very much based on the particular statutory scheme in RIPA Part IV and the sensitive context in which the IPT operates. "To construe section 67(8) as allowing judicial review of determinations and decisions of the IPT would subvert it. It would mean that despite the elaborate regime put in place to allow the IPT to determine claims against the intelligence services in a closed procedure while guaranteeing that sensitive information about their activities is not disclosed, judicial review proceedings could be brought in which no such guarantee applied" - [para 43]. It is worth noting that the Investigatory Powers Act 2016 section 242 has now provided for appeals on a point of law from the IPT. 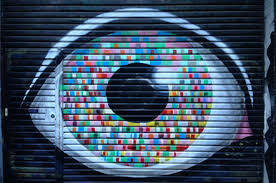 For a more detailed look at the Privacy International decision see Public Law for Everyone (26th November) and this article by David Hart QC on UK Human Rights blog. Privacy International is a registered charity (No. 1147471) founded in 1990 and was the first organisation to campaign at an international level on privacy issues.